We have all heard the many fairytale stories about the famous and popular islands of Greece. Mykonos – famous for its party atmosphere and loud musical festivities, while Santorini is another major Greek island that host millions of people a year. But what about the capital city of Athens, Greece. After the period of bankruptcy in the nation, has this city recovered and gone back to its glory days? Stunning view of Athens at dusk with the lights on. However, quite a number of the ongoing restoration work does not seem fast enough to preserve these historical monuments. This spectacular city is one of the oldest cities in the world. 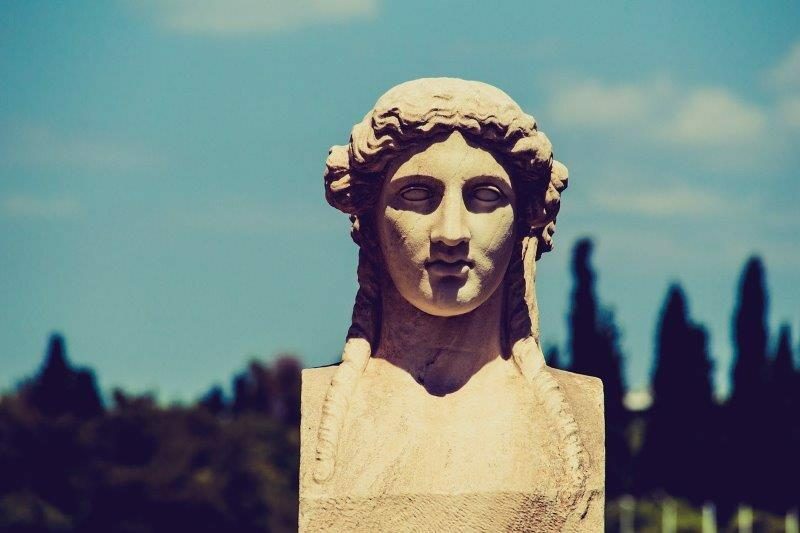 Where else would you find a city named after the Goddess of Wisdom, Athena? The amazing city is the birthplace of the Olympic Games, Greek literature, breath-taking sites and museums. 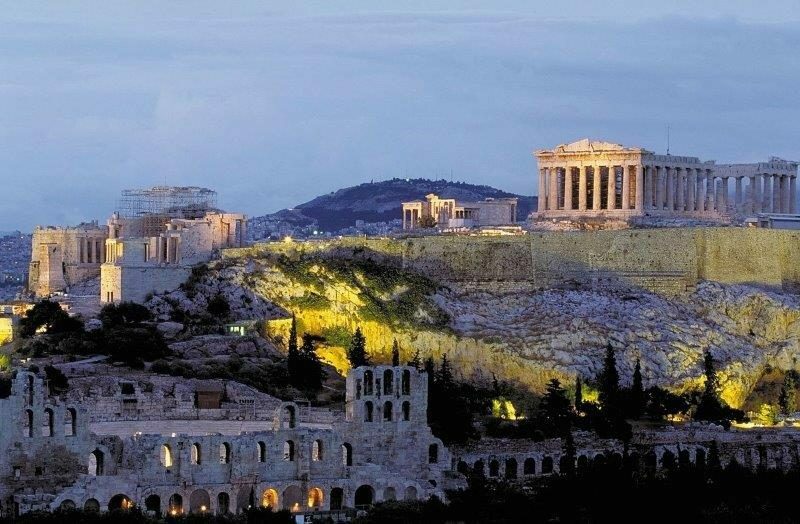 The sights in Athens are truly interesting and unforgettable for a history lover. Being in the presence of this historical greatness has a great many stories to uncover. 4. 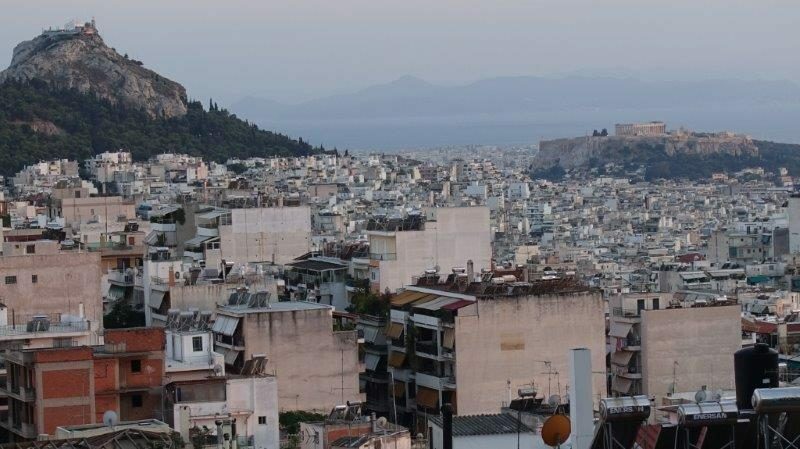 Is there really hidden treasure in Athens? This once great empire still lives on through the spectacular surroundings of Athens. 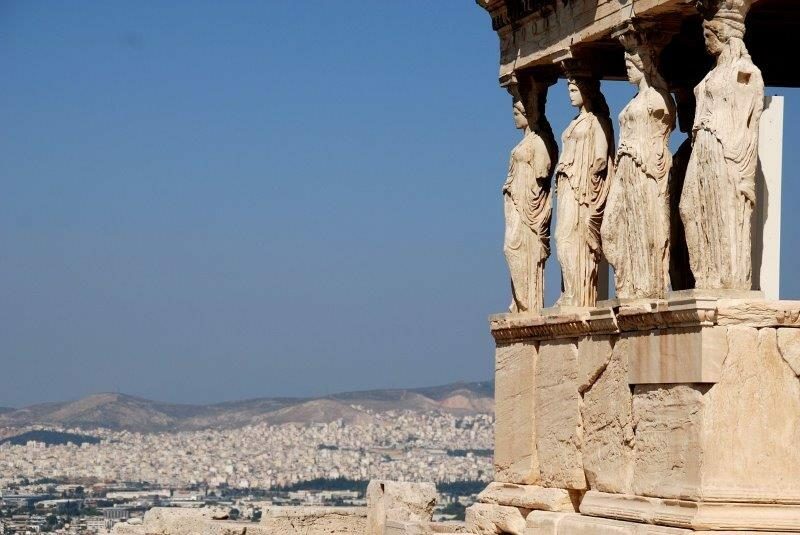 If you love to travel to new places, the Athens sights will surely inspire you. Gorgeous statues line the outside of the Erechtheion. The original five of the six statues are not located on site but the replicas are dead ringers for the originals. 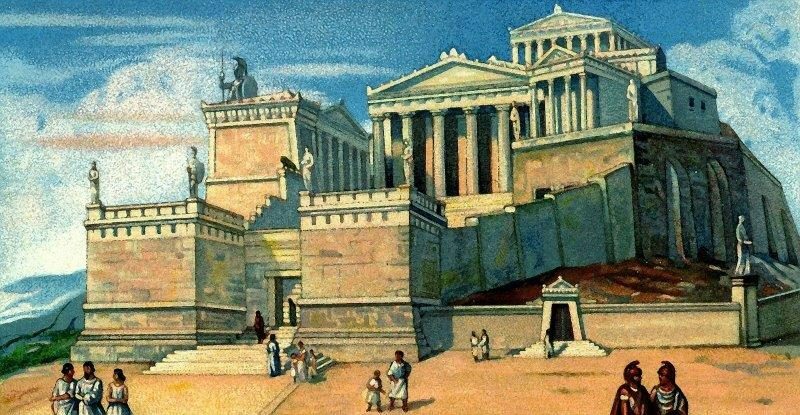 The Parthenon, which was once a very known temple is a highlight in Athens. 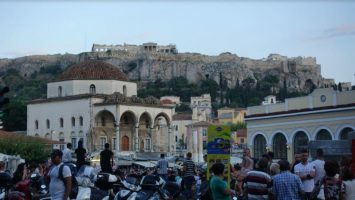 The amazing city of Plaka is a great place to break from Athens and visit charming local shops and bars. Another great Athens sight to visit is the Temple of Poseidon. This all mighty God once dominated the sea and now you can finally visit a temple dedicated in his honour. 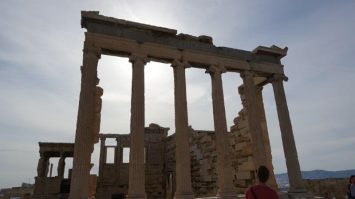 The temple can be found at Cape Sounion. Although most of the structure was damaged in the late 400 B.C. era, its beauty still bewilders people. Every town, city and country have its own hidden talents or charms to it. Athens is no exception. 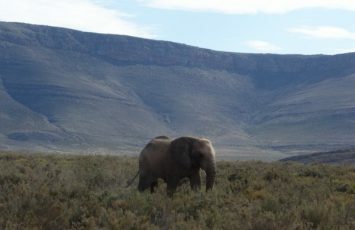 While most people want to check out the stunning museums, amazing sights and beaches, there are hidden treasures to explore. A breathtaking view from the top of Lycabettus Hill is a great place to watch the sunset along the horizon. Another hidden gem in Athens in Brettos. This colourful distillery is the oldest in the city. If you are the outdoors type that loves to climb and hike, then you must visit Mt. Parnitha, which is over 1,400 meters. 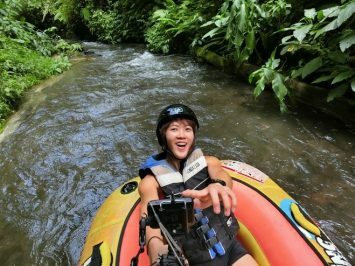 There are biking and hiking trails to examine the mini caves and fortresses of the mountain. Lastly, if you are rock climbing lover, then don’t miss the opportunity to take in the view on Filoppappou Hill. 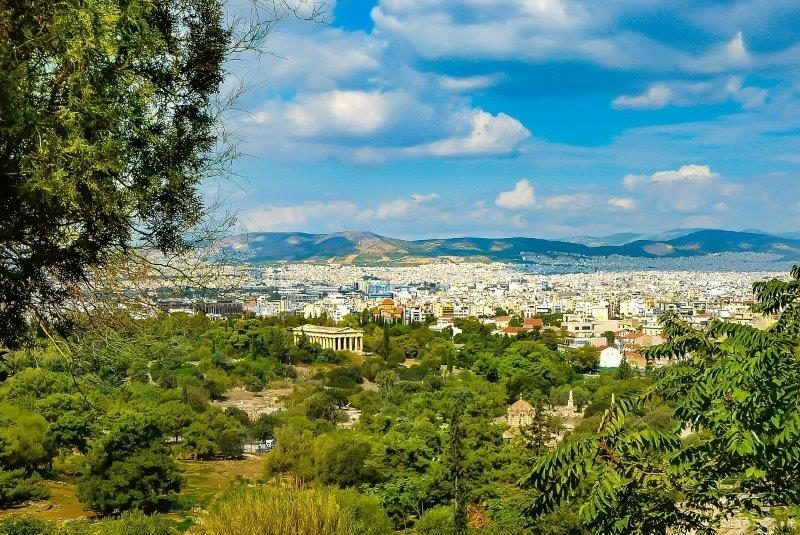 This is a favourite spot for locals to hang out, have a picnic and take it Athens beauty. Are you interested in rock climbing in Greece. Then check out the world renoun Kalymnos Island for that! 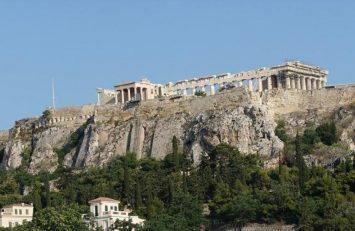 Athens is certainly a place that you could visit over and over again for a variety of recreation activities too. Windsurfing and paddling are two amazing watersports that the Greeks love! The best and least touristy would be the (locals beach) Varkiza Beach, known for its sparkling blue water and beautiful waves. Working out and exercising can be tedious especially while on vacation. Athens also offers its tourists a workout session at the Panathenac Stadium! How awesome would it be to workout in place that held the first Olympics? Close to the famous Temple of Poseidon, there are small shops that over scuba diving lessons for your best Athens experience. NOTE: Do always be careful of your valuables while travelling in rural or crowded places. When making purchases on or offline, one should also be weary to make sure your personal information like credit card does not get abused. There are ways to safeguard your online transactions or get RFID pouches to store your credit card details. 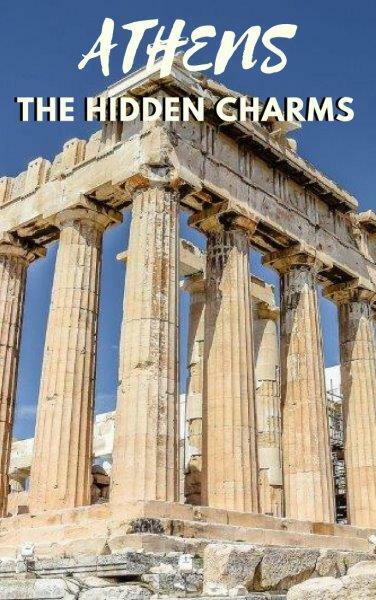 Why not go on an Athens Treasure Hunt to explore secret caves, tasty Greek food, cryptic messages and hidden puzzles to solve. Is there any better way to explore Athens sights? 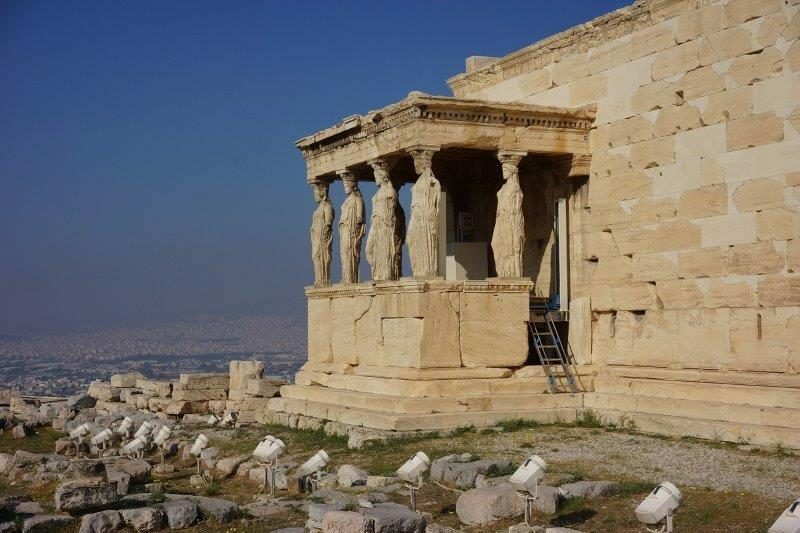 Did you know that the Parthenon in Acropolis originally held a famous statue of the Goddess Athena? It is obviously not there anymore and so many people wonder, where did it go? 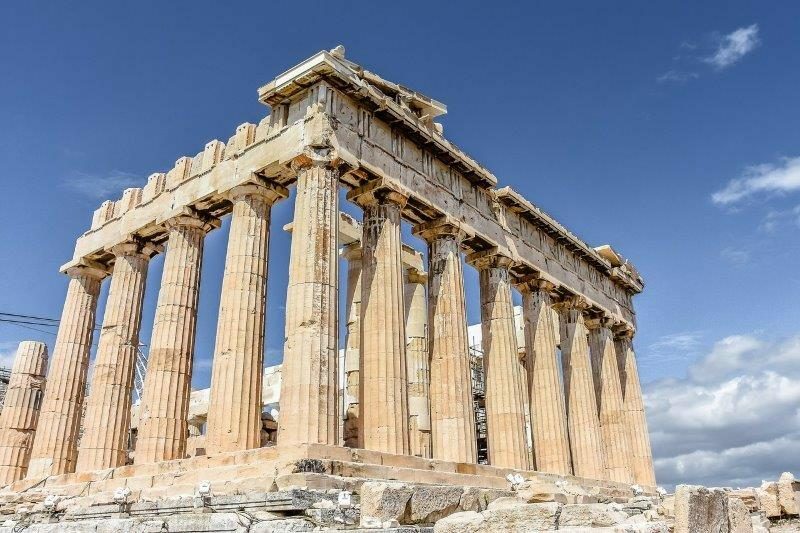 Another fun fact is there is no form of government that Athens has not tried over the years. The government has changed from communism to capitalism to monarchy and democracy. Who knows if Athens will develop a new form of government? When it comes to arts and music, Athenians are huge theatre Greeks, I mean geeks! Some of the best Athens sights are the ancient theatre stages spread throughout the city. 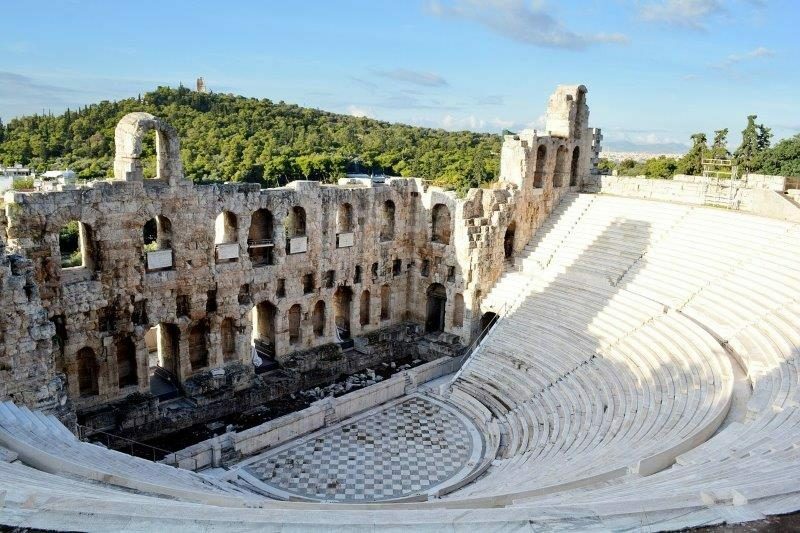 A now newly renovated Odeon of Herodes Atticus is open to tourists. Athens sights may be spectacular, but museums allow you to see a more eclectic group of art under one roof. It may be shocking to learn that from 2003-2014, the National Museum of Contemporary Art was closed. This museum comes old school art and modern Greek Art. The National Archaeological Museum of Athens has mummy statues from the Egyptian collection and stunning sculptures from the 5th and 7th centuries. For all you women, like me, who love jewellery, you should take a look at the jewellery collection of ancient artefacts. The Museum of Illusions is the first of its kind in Athens. 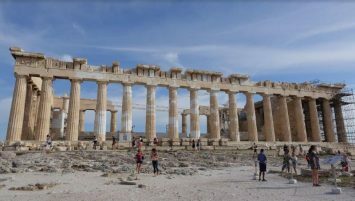 This Athens sight is a great place to meet new people, experience fun adventures and is family friendly. So, are you prepared to take the journey through Athens sights to explore a world of history, culture and wonder? You can engage yourself in the hidden charms of this wonderful city and learn about their lives and culture. Regardless if you are an art lover, history buff or outdoors fanatic, the City of Athens is the place for you! Are you ready to visit a city that is over 3,400 years old? It was incredible Madhu :). Make sure to go in the low peak season to avoid the high prices of Summer. As an Athenian is always nice to stumble upon blogposts about my hometown! The city has indeed try almost every form of political system (not communism though) and at the moment the changes may bring a new system in the world again haha! 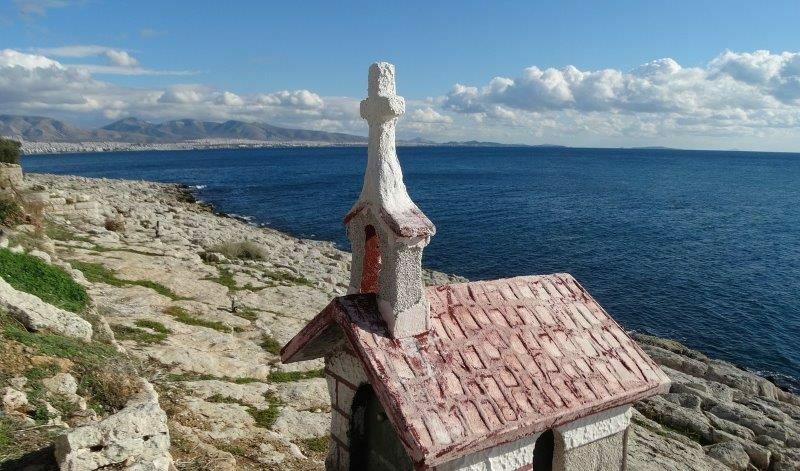 Love the photo of the tiny chapel next to the sea and I have to admit that you got my here, I guess it is from Pireaus but not sure, oups!!! Thanks Val! Yes, the tiny chapel next to the sea is lovely isnt it..Kudos to this beautiful country you are from.